“Football’s Gulf War”, “The Blockade Derby”, you name it. 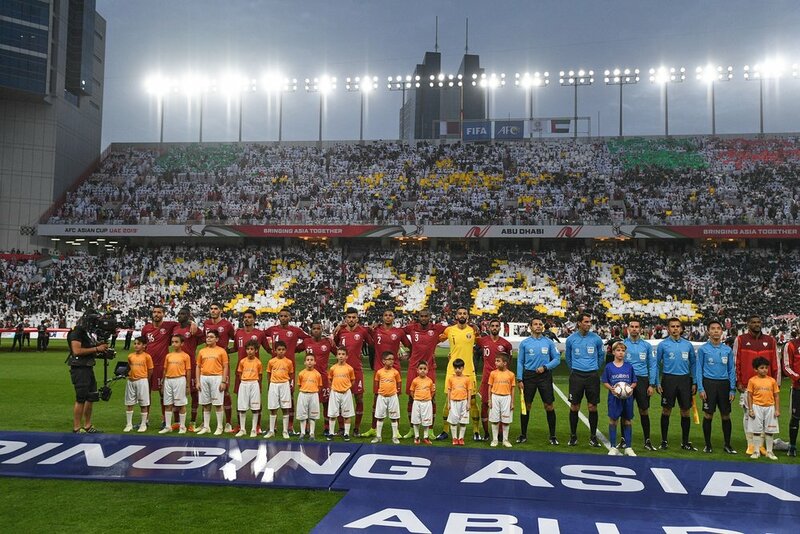 The 2019 Asian Cup semifinal between Qatar and the UAE was one of the most anticipated matches in the tournament, mainly for the politics that surrounded the event, regarding the relationship between the countries. The ‘Gulf Crisis’ was there in the background throughout the days before the match and even in the match itself. No match in the tournament has seen a stadium packed this way. Mohamed Bin Zayed Stadium in Abu Dhabi was full with 38,646 fans. The majority of them support of the home side, and only a few Omanis, Sudanese and a Korean girl supported the visitors from Qatar. Yet, the hostile environment in the stadium, that included screaming chants during the Qatari anthem, did not influence Felix Sanchez Bas and his players as Qatar simply eliminated the Emiratis in the first half. With a solid and organised performance, the Annabis succeeded to break the UAE’s defence again and again. On the 22nd minute, a counter-attack led by Akram Afif and Boualem Khoukhi ended with a nice goal by the Algerian-Qatari after his shot went just under the body of goalkeeper Khalid Eissa. The forty thousand Emiratis in the stands went silent, as Khoukhi was kissing the Qatari crest in front of the camera. Qatar played as a unit. They defended well, pressed, knew where to stand. Sanchez has made it build an almost perfect team in Asian levels, out of the group of players he trains in the past ten years. 15 minutes later, it was already 2-0. Almoez Ali received the ball from Afif in the last third, took two defenders with him, and from left to the center and with his right foot released at a tremendous shot, to the post and in. The Emirati fans were furious. The Sudanese born striker, that was in the centre of legal saga whether his eligible to play for Qatar in the past week, has notched his eighth goal of the tournament, equaled the record of Iranian legend Ali Daei and danced in front the home crowd. The fans answered with an avalanche of shoes, as the masses in the stands simply lost it. The second half was a much more conservative act by both teams, as Sanchez and Alberto Zaccheroni were afraid to make any mistakes. The Italian coach threw veteran Ahmed Khalil to the match instead of Ismaeel Al-Hammadi, but it was only a cosmetic change. 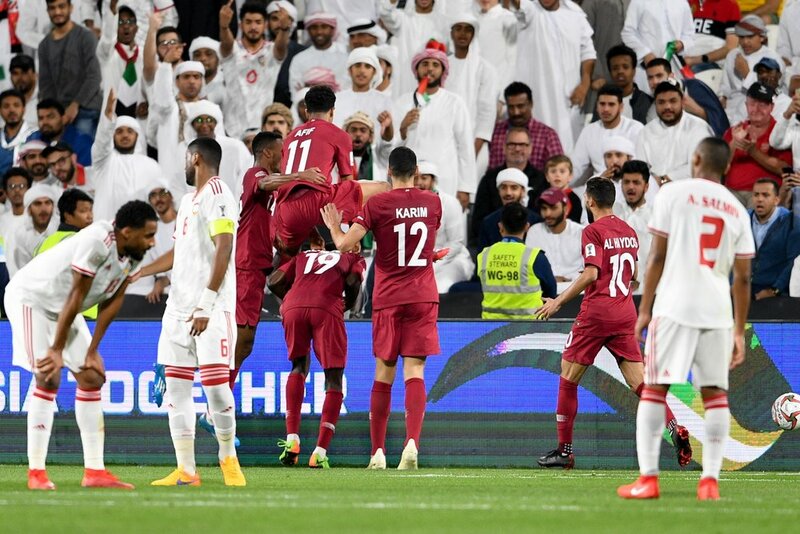 On the 80th minute, Hassan Al-Haydos, the Qatari captain received a wonderful ball from Akram Afif, went past his defender and with a stylish chip above goalkeeper Eisa sealed the UAE’s faith. 3-0 Qatar and from here it was only a matter of when the final whistle would come. Ismael Ahmed received a red card after he elbowed in what looked like a final nail in the coffin of the UAE, but then in the stoppage time - Hamid Isamel notched Qatar’s fourth goal, after an assist by Karim Boudiaf. Xavi Hernandez predicted a month before the tournament that Qatar and Japan will meet in the Asian Cup’s final, and that Qatar will win it. The football world has laughed and accused him of receiving money for creating a positive public relations for the country he is playing at. Xavi was right. Qatar, with a 16-0 goal difference in the tournament, 6 clean sheets & 6 victories are by far the most impressive team of the tournament. This Friday, they will make history when they will go to play Qatar’s first Asian Cup final in its history against Japan a fourth-time winner. Mission impossible? Not for Felix Sanchez and his predator unit. The sky is the limit for this team, which even in the case of a loss, has set in this tournament the foundations for a promising side for the 2022 World Cup.